I wanted to write a post on how to build a regime as many people may be just starting on their journeys an not be sure where to start. I would probably start with understanding what the various types of products do, before embarking on choosing said products. We are all told at a young age that we have to wash our hair with shampoo to keep it clean and some are told that they also have to condition our hair after. But for years I never actually asked myslf why I did this. At the time I just assumed this is what you did to keep dirt out of your hair, like having a bath keeps dirt off your skin. Now I follow a different rule. Shampoo - Roots, Conditioner - Ends. "Shampoo is a hair care product used for the removal of oils, dirt, skin particles, dandruff, environmental pollutants and other contaminant particles that gradually build up in hair. The goal is to remove the unwanted build-up without stripping out so much sebum as to make hair unmanageable." Most modern day shampoos contain a surfactant which will usually have amphiphillic qualities, ie. it is both hydrophillic (water loving) and lipophillic (lipid/fat loving). Our natural sebum is an oil(lipid qualities)." What this means is that the surfactant in shampoo will attach to the oil at one end and water at the other end. When the water washes through your hair the dirt and oil is then pulled with it. TaDa! Any dirt on your strands will wash away with the shampoo as it glides off your hair. I always choose a moisturising shampoo and I try to concentrate on the roots and scalp of my hair. I also don't overdo the lathering as I find some shampoos make my ends dry. 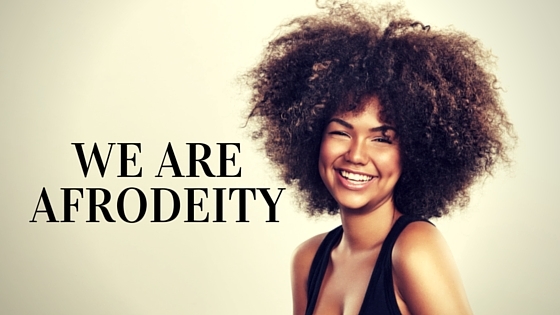 My fellow peeps at the AfroDeity Online Store just let me know that AfroDeity's Online Store now lists its products on Amazon and you can also check out AfroDeity's Best of Amazon for other great products. If you are anything like me you probably buy tons from Amazon- even groceries - so while your there pop a bottle of JBCO, an Edgestick or any of our other ranges in your basket. You know that with Amazon's A-Z guarantee that it is a sure thing so tell you friends. Also if you want to see any of our products in your local store, get them to contact us or tell us where they are and we can contact them.